The passage toward awakened monogamy is not only a journey of deepening intimacy and awakening with a partner, but also an immensely liberating journey into ourselves. Too often we lose ourselves in our conditioning when relationships become difficult, missing out on the rewards of fully engaged connection. 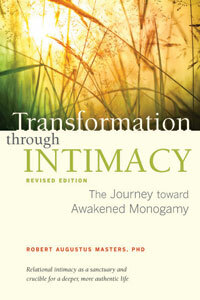 Transformation Through Intimacy guides and challenges us to recognize — and live — awakened monogamy as both a spiritual path and a crucible for radical healing and maturation in every dimension of ourselves. Drawing on his 35 years of experience working with relationship concerns, Robert traces the anatomy and evolution of relational intimacy, providing a cutting-edge exploration of what it takes to create a truly great relationship. Clearly organized into sections that cover emotions, sexuality, relational challenges, and much more in great depth, this book is an unusually comprehensive guide to relational intimacy.